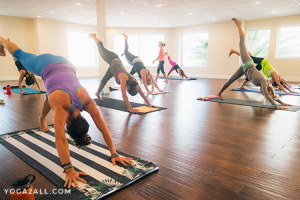 Physically, most yoga practitioners feel worse before they feel better. After the first few poses, especially if they already have joint issues, their muscles are quite stiff and sore. However, this initial discomfort usually dissipates after the first few sessions, and most people feel noticeably better. If you can jog around the block a time or two before beginning your session, the initial discomfort dissipates even more quickly because a warm body responds better to physical exercise. Let us dive deep to discuss about yoga and arthritis. Emotionally, yoga requires focus. That is a good thing because once the brain shifts its attention away from joint or arthritis pain, it is usually several hours before the mind refocuses on the discomfort. Think of all you can do with three or four pain-free, and medicine-free, hours. Yoga is also very relaxing, so it helps practitioners engage their parasympathetic nervous systems. The parasympathetic rest-and-digest nervous system decreases the body’s production of cortisol, a stress hormone that some researchers have linked with arthritis pain. 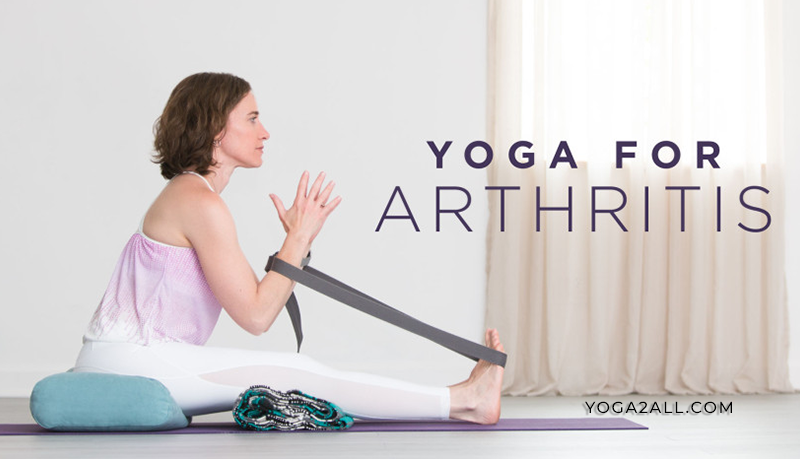 Because of this two-prong effect, yoga for arthritis significantly reduces the dependence on arthritis pain pills, and in some cases, might even eliminate this dependency altogether. Arthritis often forms in the body’s weight-bearing joints, such as the hips. Osteoarthritis, a degenerative muscle disease, is much more common than rheumatoid arthritis, which is an autoimmune disorder. In OA, the cartilage in the hips and other joints deteriorates with age. The bones therefore rub against each other, causing inflammation. In the time you discuss about yoga and arthritis based on that analysis, it seems like moving the hip joint is the last thing that would relieve OA hip pain. In fact, most doctors recommend that OA hip patients limit their activity. But that’s simply not the case because there is considerable evidence that yoga eases the physical pain of hip OA. At the same time, avoid poses that place pressure on the hips, such as the Warrior or Leg Lunges, unless you do chair or underwater yoga. The knee is another weight-bearing joint that’s very susceptible to OA. Similar to hip patients, people with knee OA who practice yoga should avoid placing any undue stress or weight on their knees. Moreover, especially if you are new to yoga, it’s very important to go slow and try something else if you do not see positive results within a few weeks. Yoga may not necessarily relieve the pain, but it does allow patients to live with the discomfort because yoga increases range of motion in the knee and builds strength. 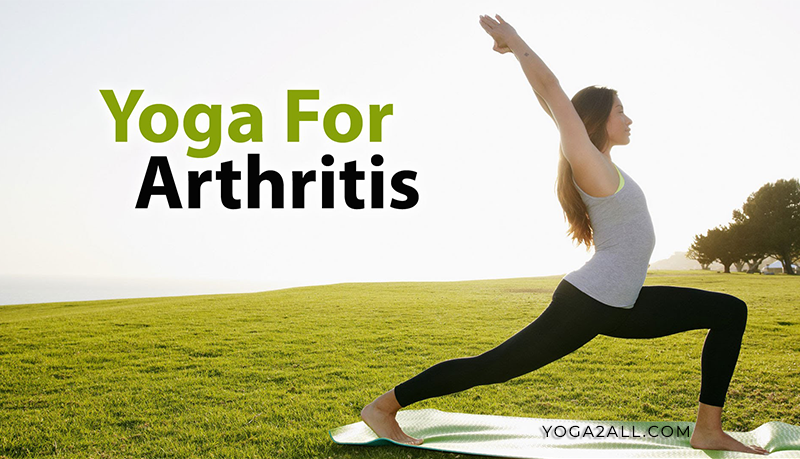 As mentioned earlier, yoga also reduces the production of certain arthritis-causing hormones. In one study, many women who practice yoga had lower levels of interleukin-6, a natural substance that causes inflammation in the knees. Researchers speculated that the yoga practitioners responded to stress better, and so their bodies simply produced less interleukin-6. Generally, if you perform the pose without bending your knees and putting weight on the joint, the pose is effective for knee OA. Degenerative hand OA most often affects women over 40 who have a family history of arthritis. Trauma injuries during youth can also cause hand OA later in life because the cartilage wears down over time. Since 25 percent of the body’s bones are in the hand, there is a significant potential for arthritis. The condition usually affects either the thumb joint between the carpal (wrist) bone and the metacarpal bone, which is in the palm of the hand. Swollen knuckles are very common as well, particularly around the DIP joint at the end of each finger. Downward Dog: Many people wear a support brace for arthritic fingers, and if that’s the case, do not take off the brace because the support is a great treatment for hand OA. Instead, try another pose, like the Linga Mudra. Warrior 1: Here, the effect comes not from spreading the fingers, but from lifting the hands above the heart. That motion decreases blood flow to the area and therefore decreases inflammation. Generally, mornings are a good time to practice yoga. But if you suffer from hand OA, that may not be a good idea because arthritis discomfort in the hands is usually worse in the morning. Some special gel-filled arthritis yoga gloves may help as well. Try yoga for yourself, and you’ll probably be surprised at how much it makes osteoarthritis more bearable.